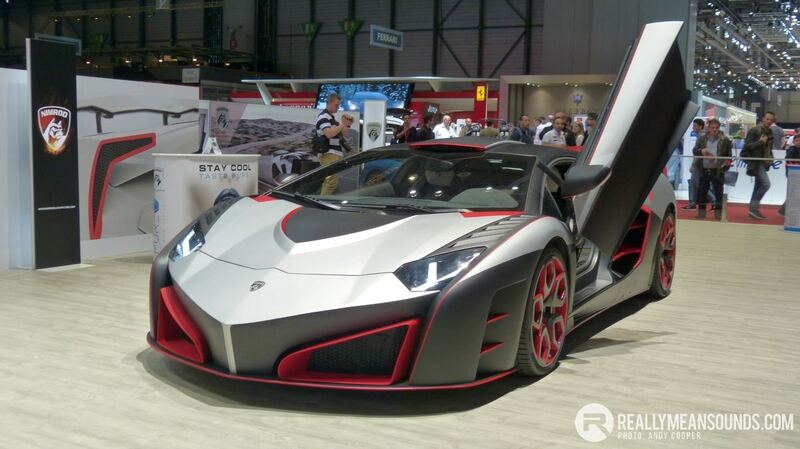 You are at:Home»Feature»So You Want to Go to the Geneva Motor Show? We have some fantastic motoring events very close to our doorstep here in NI and I’m regularly asked how long, how much and so on, so in the vein of my previous Nurburgring Trip Guide I’m going to post up more trip guides, and here we will look at the world famous Geneva Motor Show. The International Geneva Motor Show to give its full title, is both one of the longest running car shows in the world, but also one of the biggest with nearly every vehicle manufacturer worldwide bringing along their entire model ranges along with prototypes and launches. If you’ve read about it in a magazine, chances are it will be on a stand at Geneva. It’s set in the Palexpo convention centre, right beside Geneva Airport. Palexpo is roughly half the size of the Brimingham NEC, however 6 out of it’s 7 enormous halls are literally packed with new cars, with one hall reserved for aftermarket and motor trade stands. As an example, BMW will bring at least one of each M car; AMG the same, and at least one of each model in the range. There is a lot to see and I clocked up nearly 10 miles of walking according to my phone! You will also get a chance to see some of the best aftermarket tuners in the market, my personal favourites being the likes of Alpina and AC Schnitzer. Some sands offer free hospitality and the odd complimentary coffee just adds to the whole experience. Geneva Motor Show: How to Get There and How Long? You can blitz the Geneva Motor Show in a day. From Belfast International Airport it’s a mere 2hr hop to Geneva, so the currently running 6.30am flight will have you into the show at just before 10am (Switzerland is 1hr ahead). As the convention centre is right beside the airport you simply follow the Palexpo signs from inside Geneva International. Going home a flight around 8pm is just as suitable. We have made the whole trip on a Saturday and although you are pretty knackered at the end of it! Geneva Motor Show: How Much? We flew with Easyjet and as we booked early enough it was about £100 for the return flights on the Saturday, which I think represents fantastic value for such a day out. Tickets for the show are only about £15 and I’d advise pre-booking these online so you don’t have to queue at the Palexpo kiosks. Grab them online from the Geneva International Motor Show Website. Compared to Northern Ireland, Switzerland is a particularly expensive place to eat in. On my first trip out I ate in the convention centre and a small main and a drink was around £30 – ouch! I’d advise packing a lunch or even buying some sandwiches and drinks in Belfast before you leave. There is a decent cloak facility at the show that can store your coat and bag so at least you don’t have to carry your lunch about with you. And they take Euro at most stalls too, although the local currency is the Swiss Franc. ATMs and card facilities are few and far between so again bring cash with you. Still not convinced? Some of the highlights from our 2016 visit to the Geneva Motor Show are below.